There hae been some cracking compilations released in teh last couple of years. Chrome’s Anthology, Orange Juice’s The Glasgow School, Josef K’s Entemology, ESG’s a South Bronx Story, were all crackers. 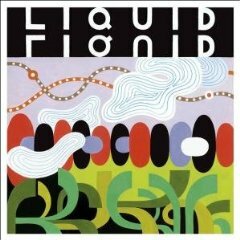 Add to this list this awesome compilation of the seminal New York post-punk band Liquid Liquid. Over there very short life they released three EP’s. All three are contained on this record along with some bonus unreleased tracks and a handful of live tracks. It’s a pretty complete document with a great essay from a Liquid Liquid tragic. I am an absolute sucker for this early 1980’s sound of punk and funk smashed together to create something entirely new. In terms of their recorded output, Liquid Liquid may be most famous for their song Cavern. Although you may never have heard that track in its original form, you’ll certainly remember it as the bass line of Grandmaster Flash’s White Lines (or the loathsome Duran Duran cover if you must). It’s difficult to deny the Cavern’s strength, there is plenty more on here to wallow in including the tremendous Optimo. If you have any love of Pigbag, A Certain Ration, ESG or The Pop Group this album certainly needs to be on your list of must haves. The booklet is so good that you’d be a sucker to download it.